A crispy snack for tea or just as an appetizer, this seafood snack is just irresistible. 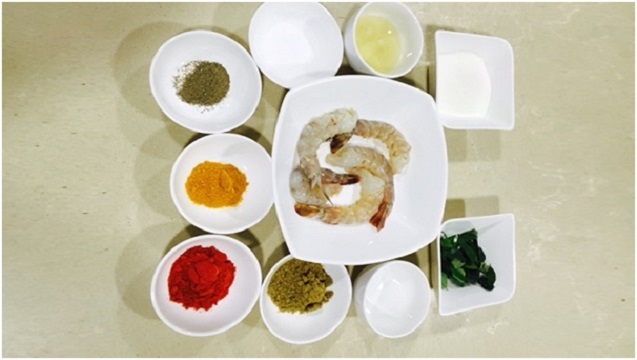 Defrost the prawns as per instructions and wash.
Marinate the prawns with chilli powder, coriander powder, turmeric powder, pepper powder, vinegar and salt. Keep it aside for 45 mins. Just before frying, coat the marinated prawns with rice flour. In a non stick pan, pour coconut oil and shallow fry prawns with the lid on. When it is done put curry leaves and serve hot.